While the official release date is June 3, 2014, I think most people who were aboard on Train Hype! pre-ordered the game, which meant Wildstar headstart access on May 31, at midnight PST. I feel bad for people on the East Coast, because MMO launches and expansion releases are usually at a sucky time for them. For me, it was quite nice because midnight PDT was a nice 9 am CET start. Theoretically. I rolled out of bed well-rested and sat there at 9 am, hammering away at my password like thousands of other people. 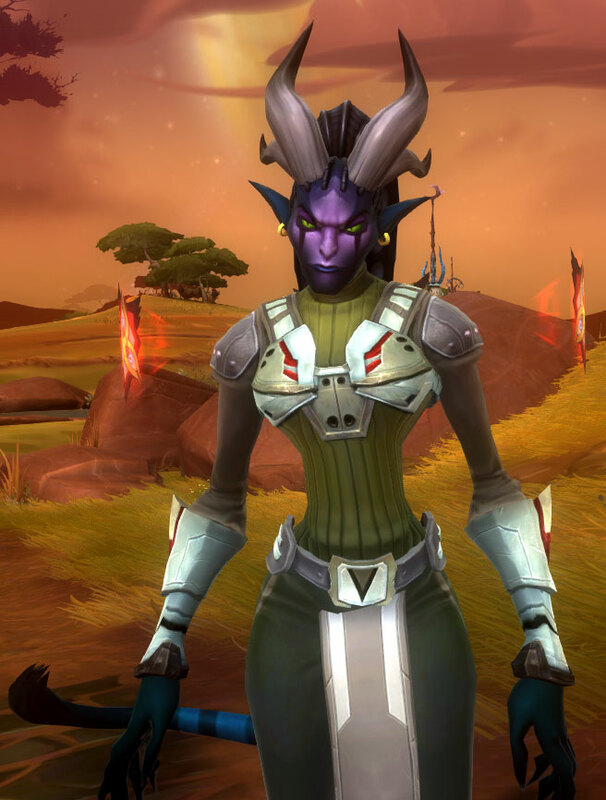 There were various error messages, many disappointed people on Twitter, and then a tweet pointing to a Reddit post that explained one of the reasons the launch did not go smoothly: a DDoS attack on the Wildstar servers. Well, crap. Pretty uncool. A map of DDoS attacks on May 31, courtesy of www.digitalattackmaps.com. Not a pretty sight. Eventually people started to get in, but I couldn’t log in. I had set up two-factor authentication (and I highly recommend it to protect your account – also, 2% in-game boost that’s permanent) the day before, which actively prevented me from logging in. Frustrated, I gave up at 10:15 am my time, because I had a hair appointment. Yup, people got their Wildstar on, and I got my hair colored. Sue me! I came home just after noon, and that was when Wildstar-Kadomi was born. A truly momentous event. There was a slight hiccup with the servers again, but from that point on, I have been able to play without any issues whatsoever. For anyone who wants to say hi, I play on Lightspire-EU, the English RP server. I am a draken Stalker serving the Dominion, and joined the guild Venus Rising which was already up and running by late afternoon due to hard leveling and pooling of funds. As it’s an RP realm, there are no queues, but I know that especially PvP servers still have ridiculous queues. I think it is safe to say that Carbine did not anticipate the amount of people wanting to roll on an English PvP realm. They started with only one server that’s still super-full, and in the meantime added two additional servers. Hope things calm down for you PvP folks soon. The super-intense Draken stalker. Isn’t she lovely and fierce? Rar! Community on the server has been pleasant, and I am as happy as I can be. I seriously have not been this excited over an MMO release since 2005. Running around Deradune, despite me knowing it well from the beta, reminds me of the feeling I had when my first ever WoW character stumbled through Teldrassil. Everything’s shiny, new and fresh. The Explorer path is probably not for everyone, but I love it. I love zipping from Explorer flag to the next one, running at breakneck speed. I love finding secret caves only I can open. In Deradune I found an island only Explorers can find while trying to find a surveillance spot. You get extra challenges as Explorer. You have to solve a jumping puzzle for a surveillance mission and as soon as you are done, the challenge starts and you have 35 seconds to get off the tree without taking any falling damage. That one took me a couple tries, for sure. 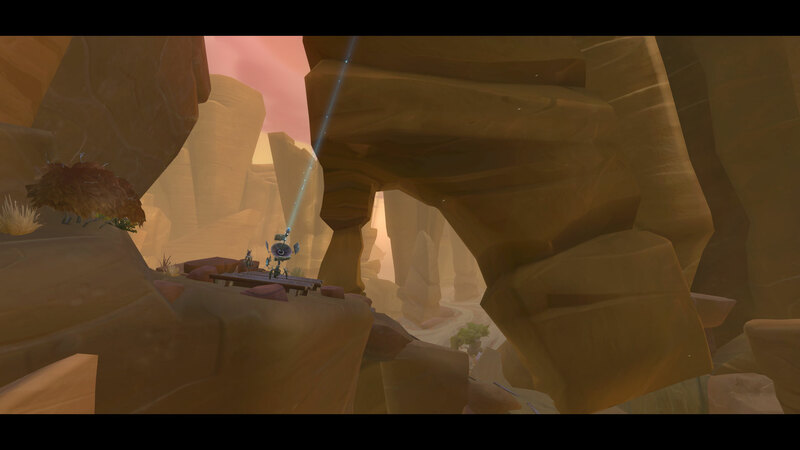 The surveillance mission on Crimson Island has you climb up a cliffside above a giant dreg. I decided that I will screenshot all surveillance missions (though I already missed one) and post them. Just because I can, just to show that despite the comic art style, the zone art is incredibly gorgeous. I have said it before but I will again that Deradune speaks to me like The Barrens used to (just without the chat). It’s lovely. This tree in Deradune offers lovely views at night, and it’s really really hard to get down in 30 seconds, I tell ya. I had very little time this weekend, because I went out on Saturday night, and played D&D with our group yesterday. I am only level 10, and got very distracted by path missions and now tradeskills. In the beta I skipped all the lore bits and Explorer missions once it was clear to me that this would be my first path, and it’s all fresh and wonderful to me. Same with crafting. Tried it, didn’t touch it again and am now ready to dive into it. I went with mining and weaponsmithing. All the shiny claws in the world. I’ve had a great time playing so far, still torn between my Draken Stalker (snap!) and my Mordesh Warrior. Can’t wait to get some more exploring done tonight!